So today I got up nice and early and spent a couple of hours digging on my allotment. Some of that time was spent hiding in my shed extracting angry ants from inside my clothes! Anyway I did good work. 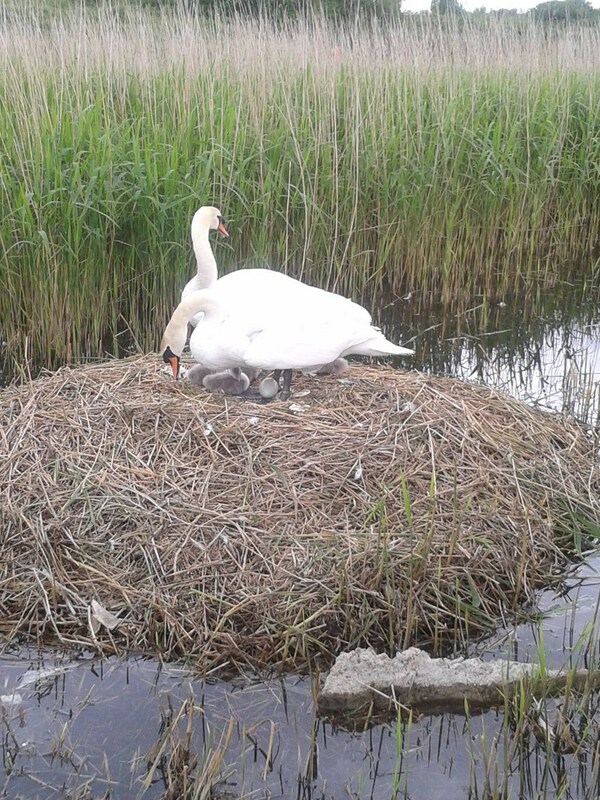 On my way home I dropped by to visit our local swans, this is mum being very busy last week. babies cute little babies and look closer one more egg to go. 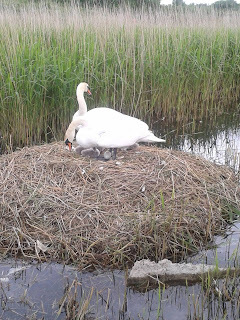 Wonder if it will hatch, she seemed very attentive to it, so we shall see! Back indoors I'm all in a spin. Been busy with the dye pot too. This is 500grams of merino dyed in many shades of gorgeous purple. It's going to be a lovely poncho for Heather. Can't get enough of this yarn. I fear things on the domestic front may slide a bit whilst I indulge in a spinning frenzy! And remember the pink yarn I spun last week. It's turning into a snuggly scarf.